Home » Top Ten Lists » Great apps for all book lovers to explore! Great apps for all book lovers to explore! Zip! Zap! Zoom! My library is anything BUT quiet during our recess time. Of course students are visiting and sharing about books they love. But they’ve also had a great time exploring iPads this year. Students read picture book apps, explore nonfiction book apps, and play math games to practice basic math facts. Lovable, furry Grover gets kids giggling every time the read this book app. Callaway Digital Arts and Sesame Street have teamed together to add just the perfect amount of animation and interaction, along with Grover’s classic voice, to capture kids’ attention from the get-go. Winner of the 2011 Cybils Book App Award! 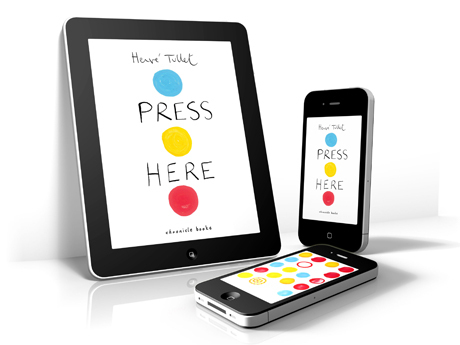 This app is an ingenious extension of Hervé Tullet’s book Press Here, which entranced kids, inviting them to interact pressing the yellow dots and watching what happened. There are no instructions on this app, none at all. Open it up and you’ll see 15 dots just waiting for you to tap them. Is it a game? Or a book? I’m not really sure, but we love it! Oceanhouse Media’s apps are developed with great thought and care of what will help new readers, often mimicking the way a parent or teacher would read with a child. Kids come back to these stories because they respect the heart and feel of Seuss’s original stories. This excellent nonfiction book app layers clear text with interesting diagrams, photographs, and interactive features. The design elements are top-notch, providing just the right amount of zing to keep kids engaged without distracting them at all from the essence of the material. With a stunning combination of computer animation, interactive features, and traditional picture-book elements, William Joyce and Moonbot Studios have developed an enchanting story about the power of books. Based on their Oscar-winning short film, this production sets the bar high for picture-book apps. I love the way the story shines through in this app. Leonard, a little kid who’s moved to a new home, feels all alone — until his imagination saves the day. The interactive features are just enough to surprise kids, but never overwhelm the story. My students have loved, loved this app. Of course they love the familiar fairy tale, but they’re just eating up the interactive features. 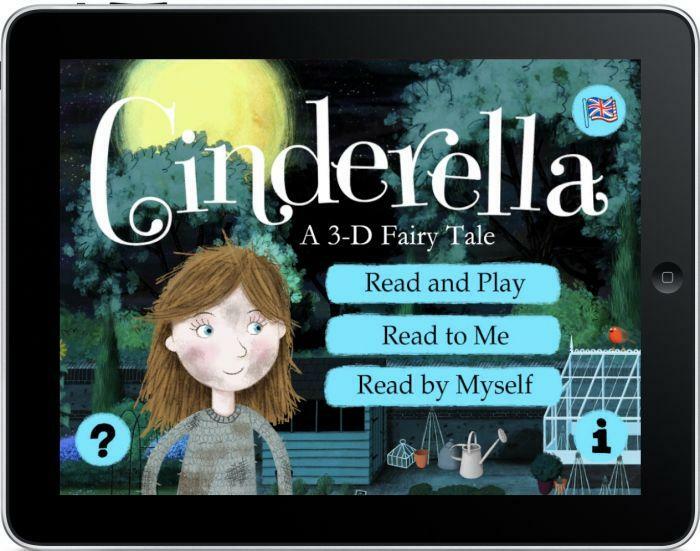 I’m very impressed by the thoughtful way that this app creates such a rich layered experience, pulling children back to reading it again and again. Take one cute little robot, add in cool interactive experiments with light, layer it with videos, text and photographs, and you have one seriously cool nonfiction book app. Bobo the robot guides readers through information on light, inviting interaction in both serious and silly ways. This romance YA novel draws readers with a story told almost purely through images: photographs, sketches, postcards, TV stills. You read bits of text throughout – postcards, IM messages, letters – but really, you’re stringing the pieces together. The app adds live links to YouTube, along with simple interactive features. Fascinating visual storytelling for teens. Animal lovers definitely need to check out this digital version of National Geographic Explorer, a classroom magazine for grades 2-5. What sets this app apart is the way that the developers have layered in many different multimedia ways of exploring information, especially in the Young Explorer issues – narration, video, embedded photographs. Very cool! Mary Ann Scheuer is the librarian at Emerson Elementary School in Berkeley, CA. Come check out her blog: Great Kid Books. She led the Cybils Book App team in its first year looking at over 50 book apps. She reviews for School Library Journal’s blog Touch and Go. And she’s a member of AASL’s new task force: Best Apps for Curriculum. What a wonderful balance of apps! Fiction/Non-Fiction and age balance as well. What fun selections as well! Happy to see some new ones to enjoy, thanks!